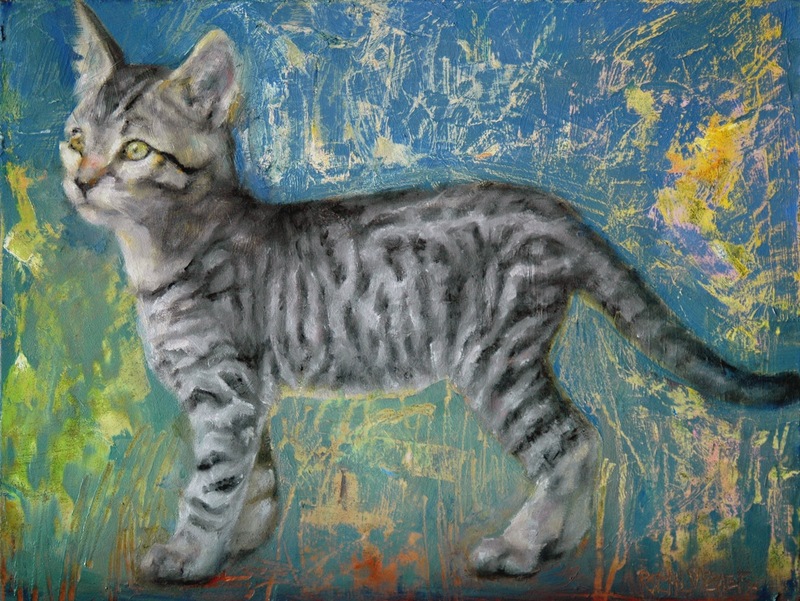 This paining is from a photo of my nine week old kitten "Chief". He is an amazing force of love and inspiration in my life, he's growing so fast it's scary. "Kitten Scratch" is on exhibit through July at Sewell Gallery of Fine Art in Eureka, CA. Look at that face!! Cute, cute, cute! !